When Felix first took a peek at the Terra Australis made by Aussie watch company Bausele, what he saw before him – to paraphrase his own words – was the preliminary sketch before the finished painting. Fast-forward to today and those metaphorical pencil marks are now barely visible under brushstrokes of paint, with the brand officially launching the flagship model late last year. While much of the design hasn’t changed from that first look prototype, from initial impressions, it’s easy to see that the overall quality of finish has improved by leaps and bounds. 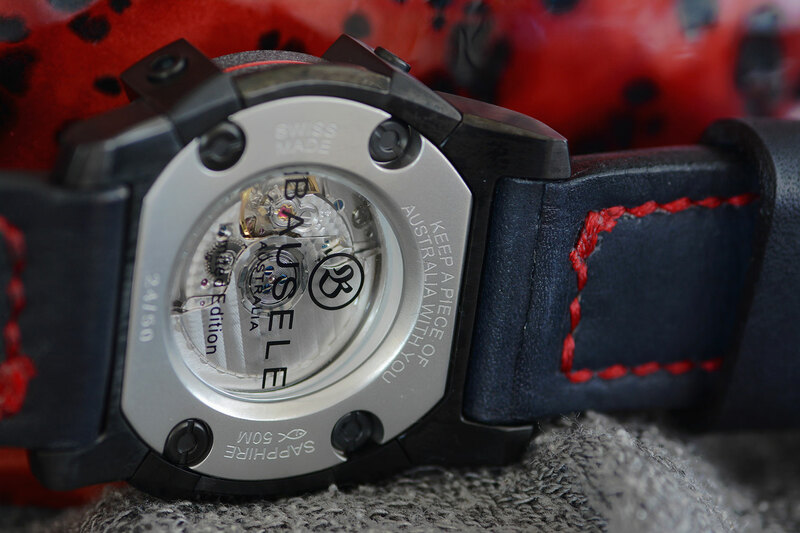 To kick things off, Bausele have four special versions of the Terra Australis available. Limited to 50 pieces each, all with varying colour combinations for their five-pronged outer case, dial, hands, and strap. However, if that isn’t enough, customers can individualise their very own version on the Bausele website. With 850 different combinations possible. One of the initial four versions is this variant, dubbed the “Red Back”, with its blacked-out styling and not-so-subtle pops of white and red, demanding attention. Eagle-eyed viewers of TV series Prison Break may have already spotted it on the wrist of brand ambassador Dominic Purcell’s character Lincoln Burrows in the recent season. 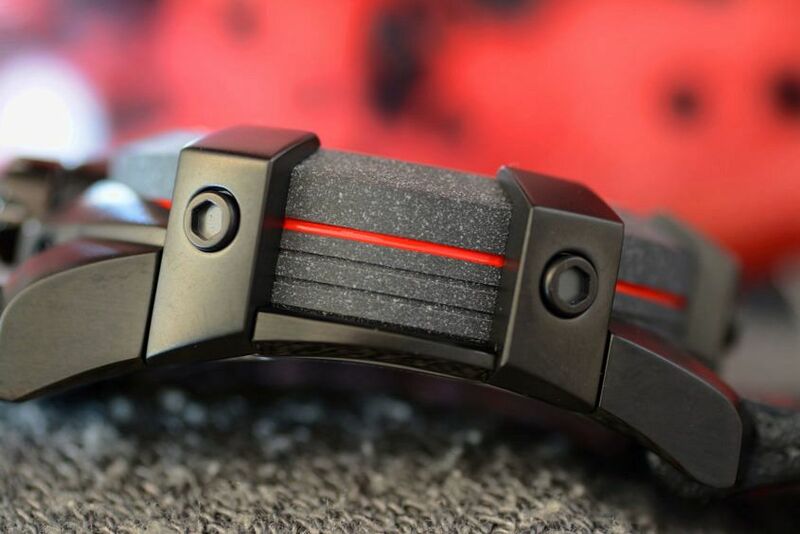 Combining uniquely home-grown elements into its distinctive yet undoubtedly polarising design, each watch features a crown at 12 o’clock filled with red dirt from the Kimberley. And a central case manufactured in Australia from a new type of ceramic called Bauselite, produced and developed for Bausele in partnership with South Australia’s Flinders University Centre for NanoScale Science & Technology. This brand new lightweight material, along with a curved case back, goes a long way to help compensate for the thickset 46mm wide case of the Terra Australis. And you don’t need prison-yard arms to be able to strap it on your wrist. 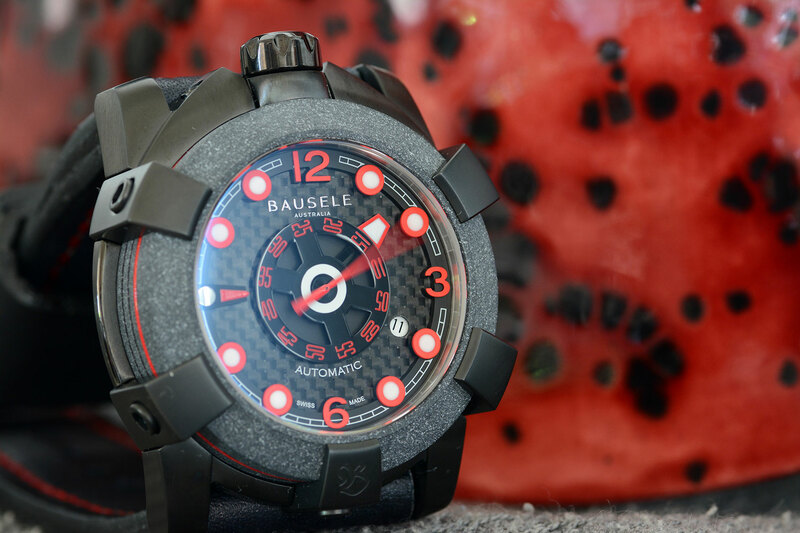 Although with an impressive construction that pairs the raw look of Bauselite with a matte black clawed case, surely it would give you some cred in C-block. Reading the time on the Terra Australis is a little different as well. The minutes are displayed on the central rotating disc, with the smaller stationary red arrow at 9 o’clock indicating exactly which minute. 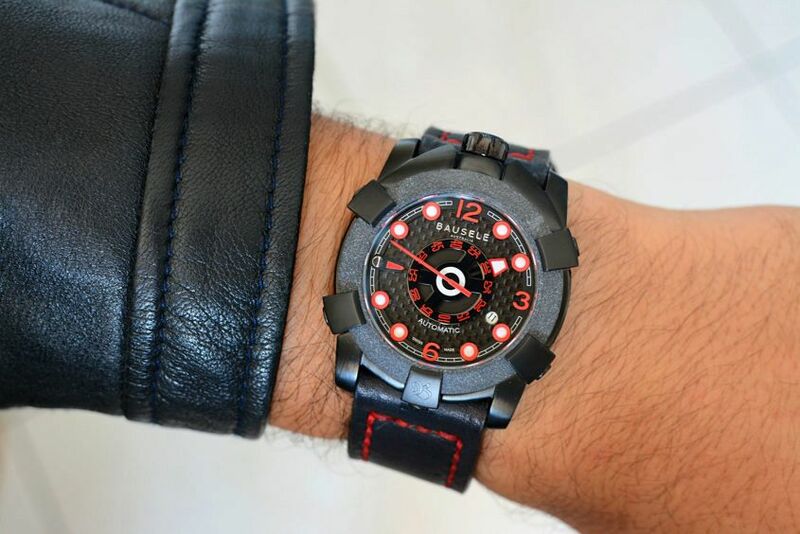 While the hour is shown by the thick trapezoidal hand that tracks around the dial like a conventional hour hand, corresponding to the large hour markers, which appear to float above the carbon fibre backdrop. It may take some time to adjust to reading, but like a regulator, it’s a rather intuitive way for reading the time. Making it all happen is the ever reliable and well regarded Soprod A10 movement, which has become a favourite in this space of the watch world. Whether the design is for you or not, there’s no doubting what a monumental leap forward the Terra Australis is for watchmaking – and manufacturing – in Australia.